Sometimes It's Just Hard To Get Out Of Town! / Sometimes It’s Just Hard To Get Out Of Town! After having a wonderful sleep we got up ready to hit the road, but first, there was breakfast by the pool. The pool was actually on the same level as our room and it looked like a lovely morning to sit and soak in the sunshine. We walked out of the room only to be hit by a blast of wind. And down by the pool, the staff had their parkas on. Well not quite, although I actually saw one woman today wearing a fur-lined parka with the hood up. She’s obviously never been to Canada. We got breakfast and sat down to eat while holding our plates down when two things happened. A gust of wind came up and just as it did Rob let go of his plate. It flew like a frisbee through the air, crashed into the steps hitting my chair on the way by. And that was how our day began. It reminded me of a Toby Keith song “Down in the trailerhood”. If you skip ahead to about 2:18 you’ll see what I mean. After that, we packed up our bags and skillfully made it to the car without a porter and there began the next leg of our journey. Last night we saw in the strip mall below us a sign for a chiropractor and Rob thought he just might go in. He’s had a pinched nerve in his shoulder and hasn’t been able to go to his own chiro so after the plane ride it was kicking up again and no one likes to be on holidays with aches and pains. So, nine o’clock came around and found us at his door. It’s amazing what you have to do to get treated. First of all, there are no computers, just a lady that spoke English and passed Rob a form to fill out. I don’t even know what was on the form, but it only took him about 3 minutes to fill out. We happened to be the second person in there that day and apparently there are no appointments, so it’s first come first served. Rob went in the back room and the lady at the desk took out a book to read. A few more people came in and she brought out a form for the next person in line. Seems like they had been there before. The doctor had a go at Rob and loosened up the knot in his neck and straightened his spine and said… “come back at 3, you need another treatment”. 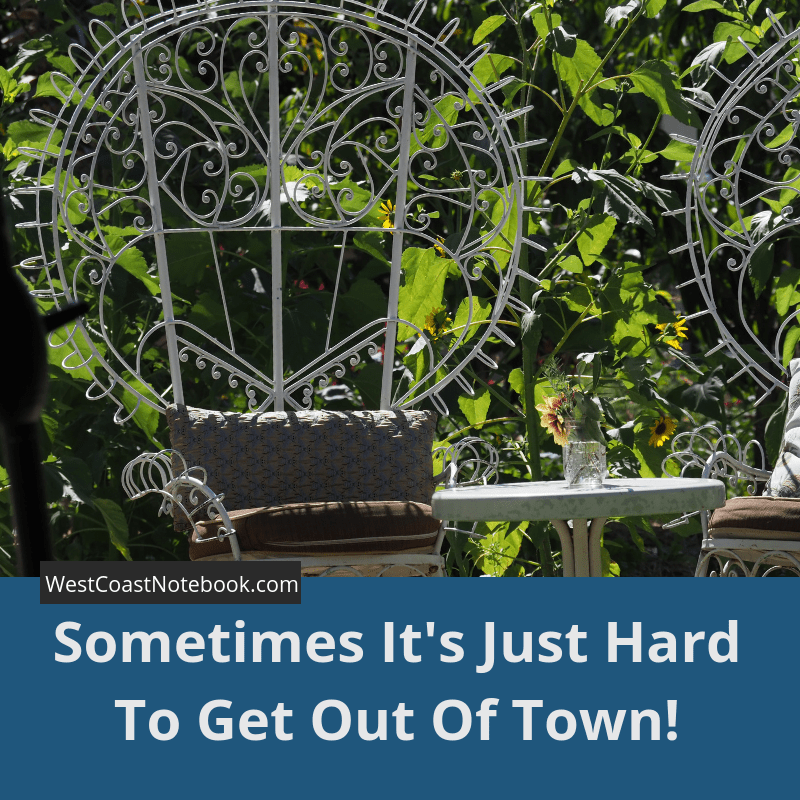 Hence… sometimes it’s just hard to get out of town. But… and here is the amazing part. You pay 600 pesos ($41 Canadian) and you are covered for the month. You can come and see him as many times as you like during the month for that amount. As we were stuck in town for the next few hours we made the most of them. 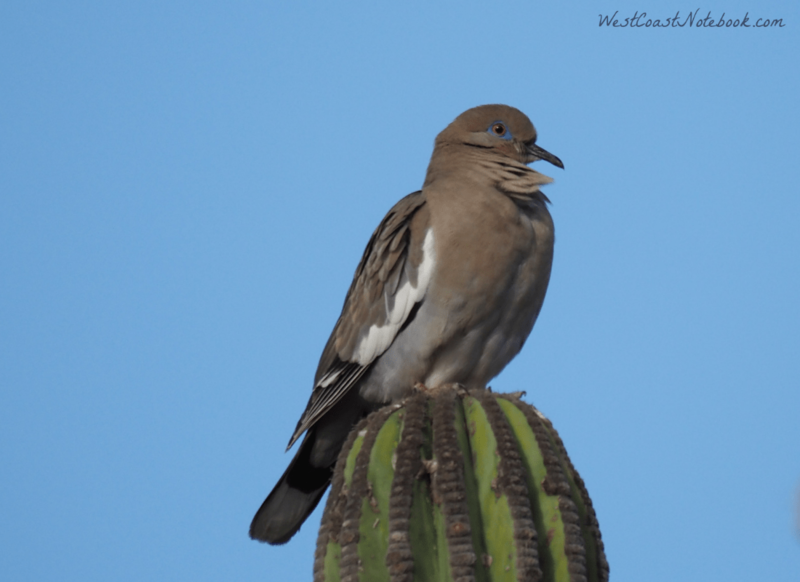 We went down one-way streets the wrong way, found dead ends and got lost in the wilds of San Jose Del Cabo. The people here are so friendly and helpful and some are a little more helpful than others. We went into the store to pick up some fruit and to see if they had some sandals. As we look like tourists a man from the store came up to us and asked if he could help us with anything. I said sandals and he asked how long we were down for and where we were staying. We told him where we had stayed and the first thing he said was he could highly recommend the chiropractor that was under the hotel. I kid you not! I just walked away, but Rob is still chatting with him until finally, I had to say a definite “no” to the gentleman and pull Rob away. I could just see us ending up in a timeshare. And then… where we asked another employee about a product, he didn’t speak English so he went and got the same fellow to translate. Comedy in action. Leaving there we went down into the old town, parked and roamed around on foot trying to find sandals. This was interesting as there were all these little mom and pop shops and then right in the middle of them would be a high-end boutique with guards and guns at the door. We found a store that was somewhere in between the two and finally got the sandals. Walking back to the car and about to cross the street a car pulls up beside us waiting to turn. The fellow starts talking to us out the window asking us where we are from. I say Canada but Rob likes to be more specific and says Vancouver Island. Well lo and behold (you might be hearing a lot of them… lo and behold that is) if he didn’t have a brother that moved to Nanaimo. In hindsight, I’m wondering if we had said we were from Winnipeg if he wouldn’t have another brother there. When he heard where we lived, he jumped out of the car and came over to talk with us and the driver drove away. After a lengthy and interesting discussion, it turns out he wants to rent us a car for $10 a day including insurance if we will just take a trip to see this lovely hotel that they have and he wasn’t about to let us get away. His buddy the driver showed up and the pressure was on. I’m walking away and Rob is trying to get away and they finally let him go when he told him that the person who rented us the car would be really upset as he took special care with us and we didn’t want him losing his job. And this is what happens when you’re a friendly person. This is a hard one for Rob as he is so friendly and will chat with anyone and everyone. Me as you already know… not so much. After our narrow escape with who knows what, our next move is to head out of town and find the lagoon where there is suppose to be a trail around. This is supposed to be a great place to see birds and do a bit of a hike so we were both game. We crossed over a bridge and I could see the lagoon and marsh to our right so we took the next exit. Turning into what looked like a nursery of cacti a man pointed to the right as a place to park. But we didn’t want to park, we wanted to go past the nursery and onto the road beyond where we could see the marsh. Driving down we could see the man watching us like we were stealing something and as the road turned into sand we decided to come back and find another way in. The man stood in the middle of the road and apparently we had ticked him off. We explained that we just wanted to walk around the marsh but we were wrong. They have tours for that and we were supposed to park and register with a guide. Who knew… there were no signs. Not even in Spanish. To heck with the marsh, we drove further out of town and as we did my headache started diminishing. I find it very hard to stay in a city for any length of time without wanting to get out into the wide open spaces. Finding a lovely winding road out of town we thought we would just drive up the coast a little way when we spotted a place that was recommended to us and as lunch was approaching we went in. It is called Flora Farms and it has a restaurant where everything that is made comes out of their garden or a local ranch. We were picturing a homey eatery but what we found would have equalled anything the Whistler has to offer. The restaurant was surrounded by high-end gift/craft stores and all the pricing was done in US dollars. They definitely catered to the tourists. We had a pizza cooked in an outdoor pizza oven and it was delicious. Fresh herbs, tomatoes and locally cured bacon. Yum. The whole area was surrounded by gardens and a mango orchard with a separate area for special events. Talking to one lady you could walk around but… you guessed it, only with a tour and guide. We found a pond and watched the turtles. But what I was most impressed with was Flora Farms washrooms. I know… funny thing to get excited about, but they were just so unique. It was how they were laid out. They were only about 3 feet wide with vines growing in through the window at the back of the stall. There was the usual equipment as well as a little half sink attached to the wall. It was like your own private bathroom but all lined up like stalls. I’m probably not doing them justice, but it’s getting late as I’m writing and I”m only up to 1 pm in the afternoon. We put in some more time driving around until 3 and Rob was the first one in to see the chiro and get adjusted. And finally… we were able to get out of town. The lyrics start about a minute and a half in if you want to skip the prelude. The hotel is there but booked for the night so we have a nice room at another hotel with a lovely terrace where we watched the sun go down. Heading out for dinner we decided not to eat at the hotel but wandered down the cobbled streets. Wandering is tricky here as nothing is flat. There are either stairs, lips, sudden drop-offs or holes in the sidewalks. This goes for everywhere we have been so far on the Baja which hasn’t been very far but makes for interesting walking. Hard to look at the sights and where your feet are at the same time. Having numerous choices for dinner we opted for one that was run by a local family and the meal we delicious. All the food here has been wonderful. Nice man, nice family and he was telling us that he learned English in school. This was a tourist town so every child took English in school. Also that they pay by the day in Mexico, not by the hour. Your trivia for the day. They didn’t serve dessert but told us of a place where they make all their own ice cream just around the corner and that all the locals go there. He had all kinds of flavours and it was hard to choose but we finally made a decision (Rob caramel, me mocha almond) and we bought an oreo one for the son of the restaurant owner. He looked about 4 or 5 and was thrilled. We walked around for a while longer before coming back to the hotel for the night. I forgot to mention that the hotel room is basically concrete. The floors, the sink, the shower (has some tile) and the beds. The mattress is put on a concrete platform and I think you could just take off the mattress and hose the room down if one so desired. It’s actually sort of neat. As I type I’m sitting on the cement night table next to the best with my laptop balanced on my suitcase which then has the cooler balanced on that with the laptop on top. The cooler lid is on the bed so I can have a hard surface for the mouse. One gets creative when travelling. But one last note before I go for the night. 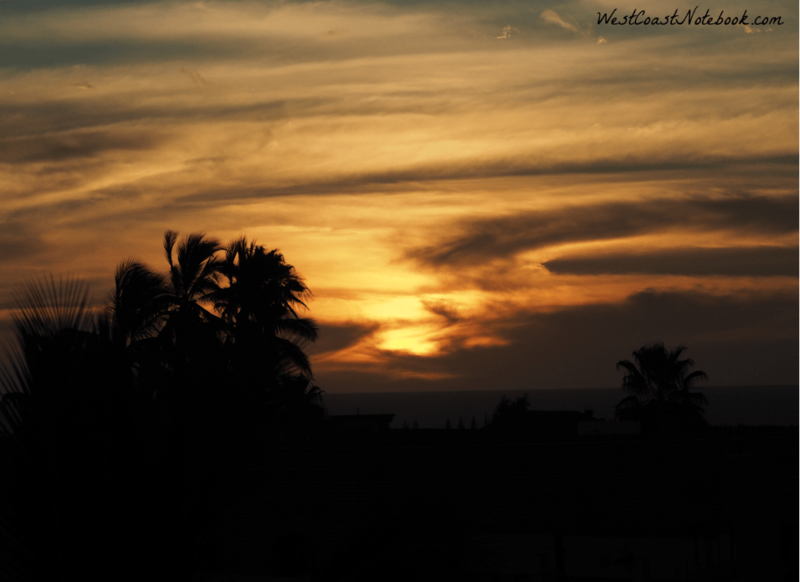 Just before we got to Todos Santos there was a sign for a hotel so we went to have a look. The drive-in was about a mile or so and when we get there it is shut down due to a private event that is going on. To the left of the hotel was a place where you could drive partway down to the beach but there was a lot of trucks and some construction going on. Rob wanted to get out and walk on the beach but it was so crowded, getting close to dark and without knowing how far we still needed to go I was less than interested in taking a walk. I just wanted to find a place to stay before nightfall. We have spent too many nights travelling trying to find a hotel and it is much easier in the daytime. So Rob said okay and turned the car around and heading out the drive. When all of a sudden I yelled at him to stop. There was a bird, two in fact. I jumped out of the car and started taking pictures. And then there were more birds and pretty soon I was running down the road while Rob was yelling at me that there were cars coming. I probably spent more time watching birds than it would have taken for Rob to have his walk on the beach and when he finally tore me away I had to apologize to him. Talk about my double standards. Tomorrow I’m making sure Rob is getting his walk on the beach… he so deserves it.